Teaching your dog to target your hand. What is “Touch”? It is simply your dog’s nose touching your hand. Why should we teach this? It’s a foundation of many more advanced behaviors, and it’s a way to capture your dog’s attention and direct where she moves. For example, maybe you have a dog that LOVES to jump on people. 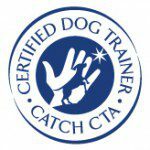 Teach a “touch” and it gives your dog an alternate behavior other than jumping. “Touch” is like a game and dog’s love games! Maybe your dog is lying on your favorite spot on the couch. I promise you she is not trying to run the household! Clearly it’s the most comfy spot around and she wants to be closer to the family! Teach a “touch”, have your dog target your hand across the room, and now your spot on the couch is available – quick! 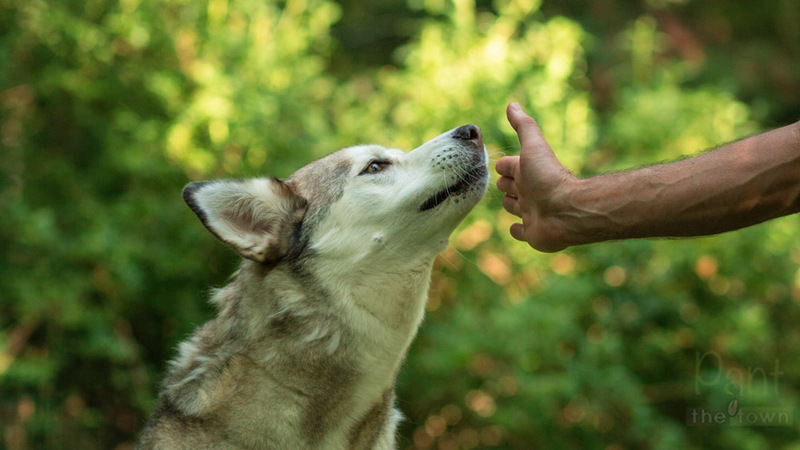 This behavior is taught by placing your flat hand about an inch or 2 from your dog’s nose. Try not to say a word. When your dog makes the decision to touch your hand with their nose, mark it (with either a clicker or marker word such as “yes”) and reward with a treat. It sometimes helps to rub a little scent of something good like burger on your hand! 🙂 Once they started doing this consistently and reliably, we can add in a verbal cue – I use the word “touch”. Start slowly increasing the distance and pretty soon your dog will be sprinting across the house to do a “touch”! You can move your hand high to ask for a jump and lower your hand to have your dog go under things. I use “touch” at the vet’s office to get Kota on the scale. I use it have her jump up into the back of my car. She is also dog “reactive” and we use it a lot on walks to change direction and refocus her attention. For a higher level behavior I taught her how to close a door with the “touch”. The next images are going in for the “Touch”! Notice the hand placement – a ninety degree angle. Dogs pick up on our body language more than all the verbal chatter we sometimes like to give 🙂 Kota knows if the hand was flat and elongated it means “high five” and the hand with the palm facing up means “paw”, and this hand placement is “touch”. Try teaching this to your dog! They pick up on it quickly and is such a useful and fun behavior! Thanks for stopping by our blog circle. Next up is Susannah with Pet Love Photography, serving Greater Cincinnati, the San Francisco Bay Area, and destinations beyond. Click on the link at the end of each post to see a variety of takes on the topic of “By A Nose”. Have a great weekend! Beautiful Kota! I may have to teach this! Lovely blog! I love your explanation about why to use “touch” and how to teach it! Thanks, Kim! So easy to teach – one of my favorites!!! Kota has my favorite nose ever! I love that you call hers a Kot kiss too! I do think she has the best nose ever with that little strip of pink haha! Great blog. I have taught our horses to touch, but not all of our dogs know it. Looks like I am going to be teaching and reinforcing touch this week. Thanks, Elaine! That’s awesome you worked with the horses and “touch”. Animals are so smart and it’s amazing how they learn so quickly! We taught Knox this! Only we used a two-finger signal kind of like the cub scout salute. Yes! Sometimes the smaller dogs prefer that over a whole hand in front of their face haha! It’s a great one to teach! Great blog – I will try this to see whether I can get the dogs to learn it – I suspect it may take me a little bit to get all of them to learn it – but perhaps it will be an opportunity to see who is “smarter” and more “food motivated”. Thanks, Linda! It’s a fun one to teach and they pick up on it pretty quick! Enjoy! Good explanation of “touch”. Kota is so good at it! She loves the “touch” 🙂 you will have to teach Mimosa! I’d love to teach my youngest dog more things like “touch”. I appreciated the step by step process to teach this skill. One day! Great blog and thanks for sharing the ‘touch’ command. I’m going to give it a try with Pippa. She could also do with a refocus of attention when we’re out walking and see a strange dog. Cheers. Thanks, Lynda! It’s a great one to teach! Perfect for walks and changing directions and looking for some focus. Let me know how it goes! Oooh interesting idea! I’m gonna need to work on this with Truffles. Yes! Let me know how it goes with Truffles! 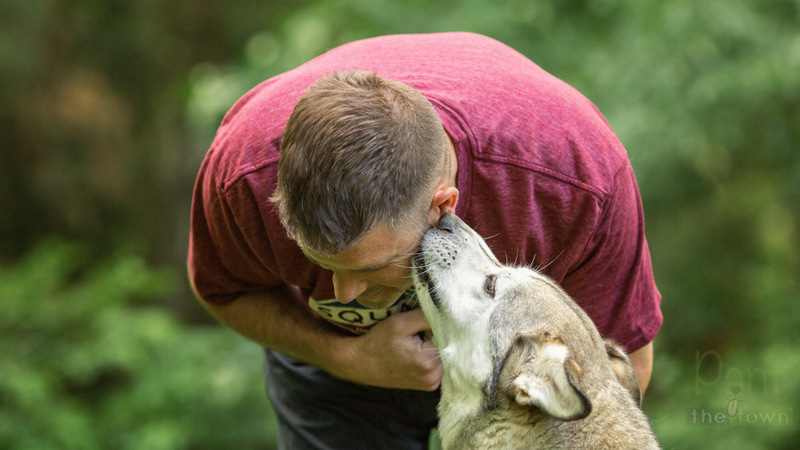 Beautiful images; “touch” is the first thing I teach in my basic class – I want the humans to get reinforced by seeing their dog learn something so quickly; training works!